Charlotte Harbor National @ Bobcat Trail Pro Shop offers a wide array of merchandise from well-known golf brands as well as incorporating many unique gifts for the home and office. Top of the line hard goods from brands such as Taylor Made, Titleist, and Cobra. Top of the line soft goods from Adidas, Foot Joy, Ahead, Katie Lord, and Sport Haley. We also offer Adidas and Foot Joy Golf Shoes, and many accessories. Comprehensive club repair and regripping services. 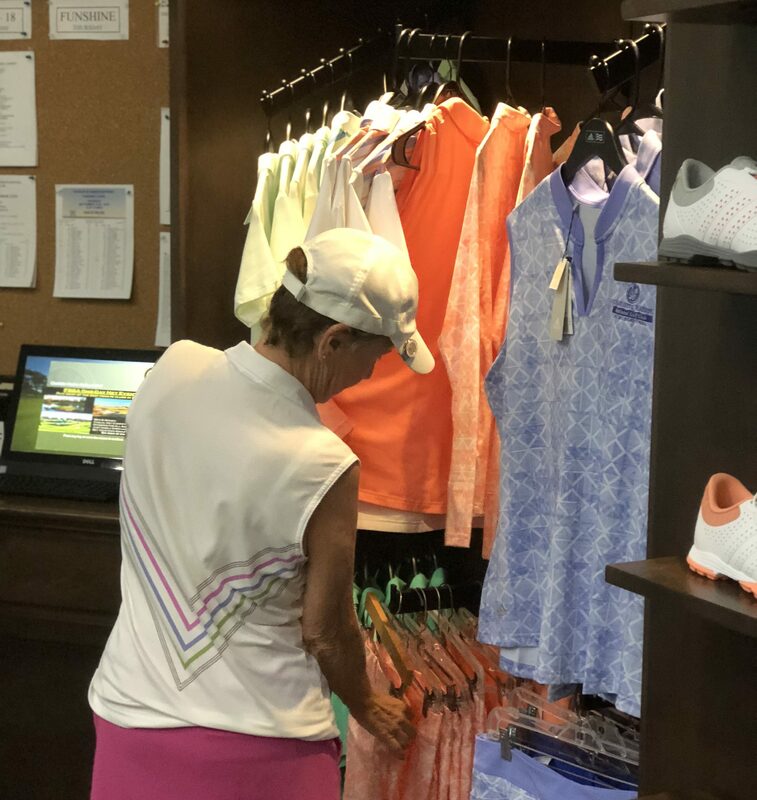 Charlotte Harbor National also offers great customer service from our Director of Golf, Dave Hronek and his staff, which includes active women’s and men’s programs and a wide variety of member events and tournaments. Our practice facility includes a driving range, a practice putting green, and a short game practice area for chipping. You may also schedule private lessons and attend clinics through one of our Golf Pro’s. A tour of the facilities should be a must on any golf enthusiast’s list. Come out and see all the changes at Charlotte Harbor National. Pro Shop hours are from 7:00 a.m. – 5:00 p.m. every day of the week. Our engaging professional staff is anxious to assist all shoppers. Call 941-429-0500.